Future garden landscapers, including three from Reaseheath, demonstrated their skills at the north west regional heat of the WorldSkills UK competition. 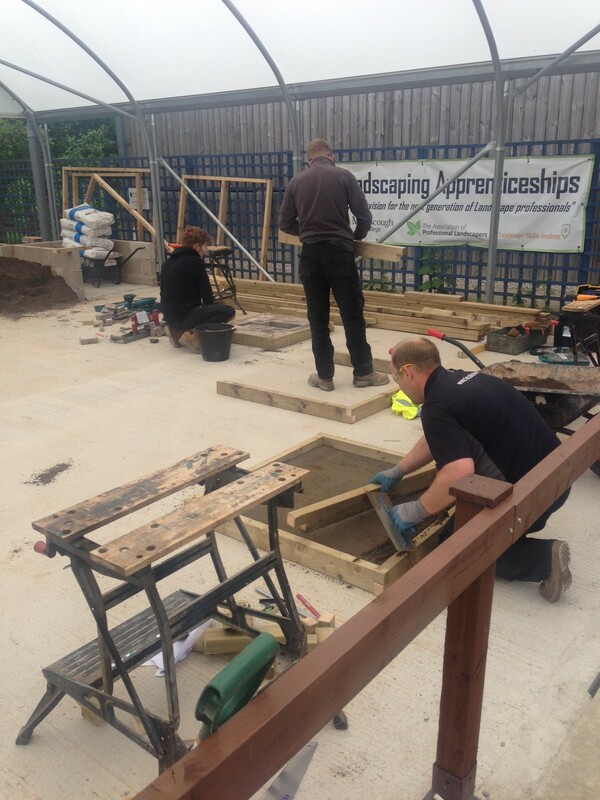 Level 3 Diploma in Horticulture students Nathan Webster, Matt Fletcher and Aaron Byrne challenged students and apprentices from other training providers in tests of block paving and decking construction and were marked on the quality of their work and attention to detail. The competition, run by the Association of Professional Landscapers (APL), was held at Myerscough College. Selection of contestants for the semi finals, to be held at RHS Flower Show Tatton Park in July, will be made once all the regional heats have concluded. The highest scoring competitors at Tatton will progress to the national final, to be held at The Skills Show at the NEC Birmingham in the autumn. WorldSkills UK feeds into the Olympic-styled Worlds Skills final, held every two years to showcase the world’s top young talent in vocational industries. Former Level 3 Extended Diploma in Horticulture student Matt Beesley was a member of the GB squad in Sao Paulo, Brazil, in 2015 and successfully brought home a silver medal – Britain’s first ever medal in landscaping.